Total manufacturing and shipping time from order placement to delivery. All items are shipped at no cost to you by UPS Ground. 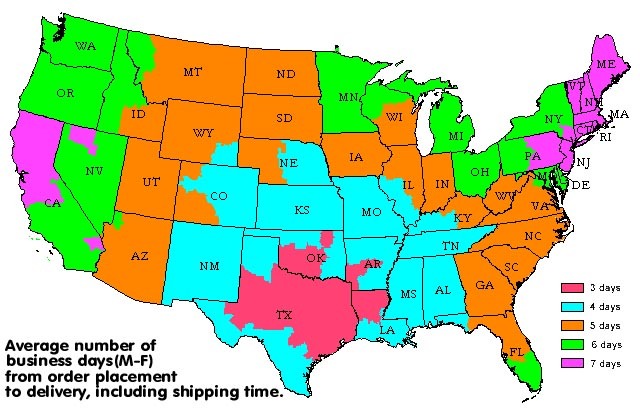 See the color-coded map below for the approximate number of business days from order placement to delivery(UPS does not deliver on weekends). You can upgrade to an expedited shipping method using FedEx Express overnight delivery for an additional charge. CLICK HERE for details.